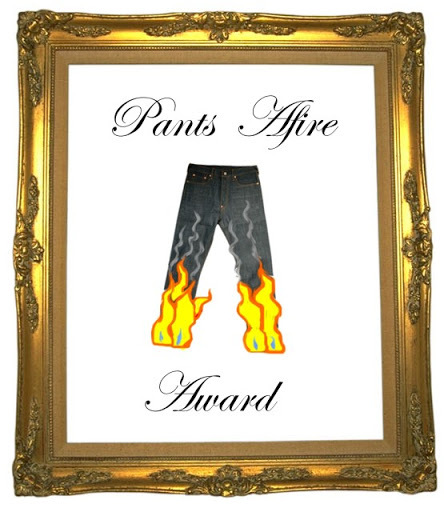 The Pants Afire Award goes to the least credible people I’ve written about here on Swallowing the Camel. James Frey – Bad writer, no Pulitzer! Al Bielek – He survived the Philadelphia Experiment only to be zapped back to infancy. Never trust the government, folks. Casey Anthony – Whether she’s guilty of killing her daughter or not, this girl has got to be one of the least competent liars in the history of lying. Richard “Iceman” Kuklinski – He became the world’s most infamous Mafia hitman without actually working for the Mafia or being a hitman. This entry was posted in Books, Conspiracy Theories, Films, Fraud, Hoaxes, Hoaxes from Space, Pants Afire Award, Politics, Psychics, Scams, Secret Societies, Time Travel, UFOs and tagged crime, Freemasonry, hoax, literary fraud, Mafia, murder, New World Order, Obama. Bookmark the permalink.